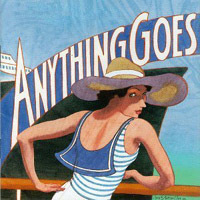 The Brandywiners at Longwood Gardens Open-Air Theater: "Anything Goes"
Join your MIT friends at one of the area’s premier summer events, The Brandywiners’ annual production at Longwood Gardens. This year they are performing Cole Porter’s popular Anything Goes. The Club has its own permanent block of seats (we chose the best in the house!). They will sell out quickly so send your reservation soon! Your tickets will be mailed in late July. We will have separate reserved dinner seating at the Longwood Gardens Terrace Restaurant. If you would like to have dinner with other MIT alums please meet outside the restaurant at 5:00 sharp and we will be directed to a reserved area (outside if the weather is good) for a pay-on-your-own dinner (restaurant, not cafeteria). We will meet in the large walkway at the base of the stairway leading up to the restaurant. This will give people time for a leisurely stroll about the gardens after dinner when the evening is cooler. This dinner is optional; please indicate your intent on the form below. If The Brandywiners, Ltd. cancels a rain-date performance and cannot reschedule it, you may obtain a full refund within thirty (30) days of the cancellation by returning your tickets along with a stamped, self-addressed envelope to: The Brandywiners, Ltd., PO Box 248, Montchanin, DE 19710.